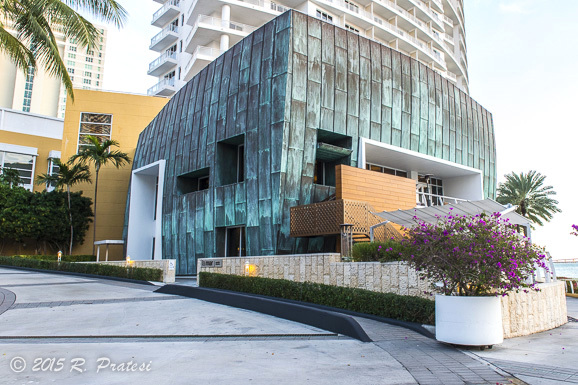 We recently had the pleasure of dining at one of Miami’s most talked about restaurants, La Mar by Gastón Acurio, at Mandarin Oriental, Miami. 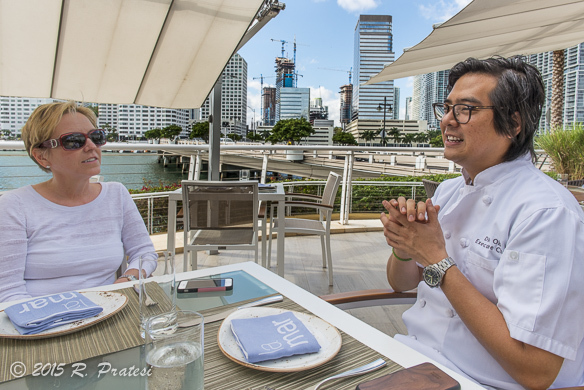 The next day we sat down to chat with Executive Chef Diego Oka, who we first met in Sarasota in December 2013 at a James Beard Celebrity Chef Tour Dinner. Here is Part I of this memorable experience – The Chef. 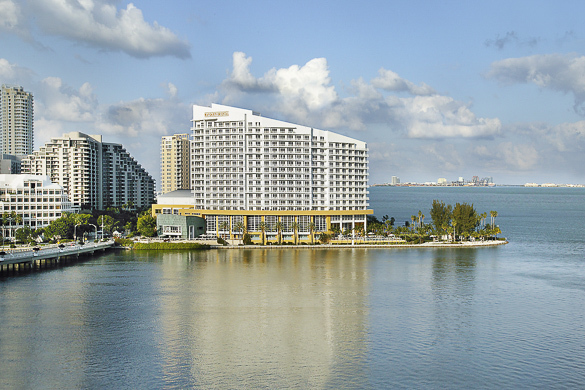 Miami is sizzling and it’s not just from the scorching hot summer temperatures. 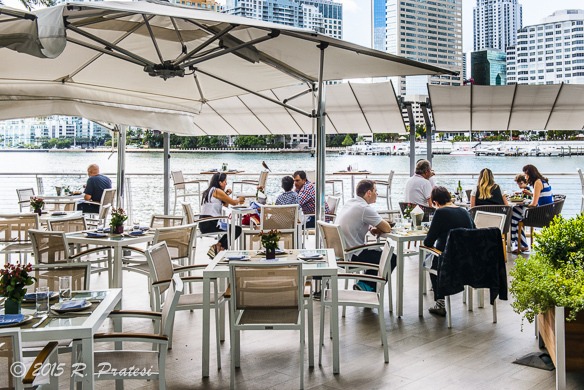 The dining scene is exploding with exciting new talent, restaurants, and International cuisine. 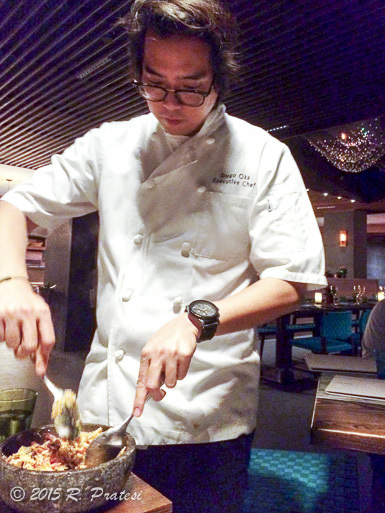 If you haven’t heard of Diego Oka already (and you may have since he’s worked with world renowned Peruvian chef and restaurateur Gastón Acurio for 15 years), remember his name because you’ll be hearing much more about him in the future. 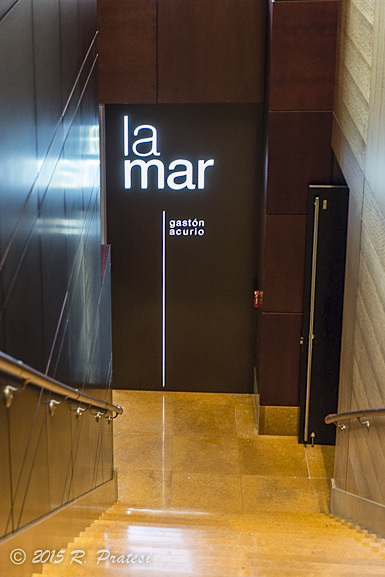 La Mar in Miami is Diego’s most recent restaurant opening for Gastón Acurio. This talented, dynamic, and engaging young chef, with quite a sense of humor and a very playful personality, started his long career with Acurio as an apprentice at Astrid y Gaston in Lima, Peru in 2000. But don’t by fooled by his likeable demeanor. His career is serious business. This chef has opened seven restaurants with Acurio’s empire in locations around the world, including Lima, Mexico City, Bogota, Chicago, San Francisco, and now Miami. He is a trusted advisor and has been called Acurio’s protégé. 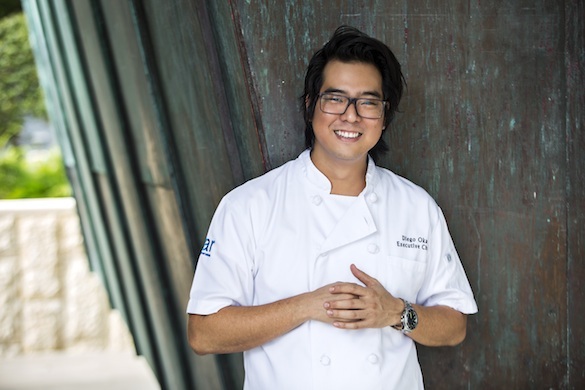 Since it’s opening eighteen months ago, Chef Oka and La Mar have received numerous accolades and press, including coverage in Food & Wine, Condé Nast Traveler, and Travel + Leisure. 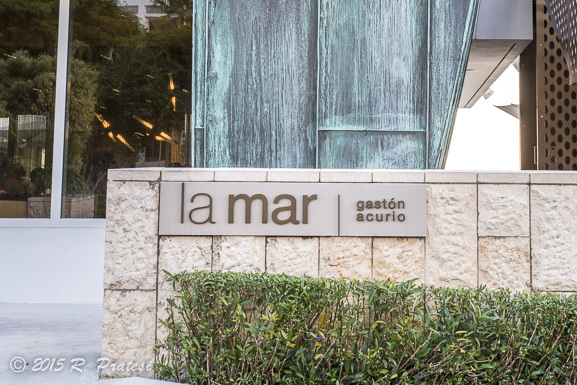 Zagat selected La Mar by Gastón Acurio as one of the hottest restaurant openings in the U.S. Thrillist named La Mar as one of the 21 Best New Restaurants in the U.S., and a cover feature in the Miami Herald’s “South Florida 50” called Diego an influential culinary innovator. Diego was born in Peru to Japanese parents who had immigrated to the country. His grandmother, who lived with them, owned a restaurant in Lima. Cooking some of the best Peruvian food he’s ever had, she was his biggest inspiration and reason to became a chef. His father, an abstract artist, had an impressive art collection, so as a young boy, Diego was surrounded and influenced by all the beauty that exists in both food and art. Choosing the path to attend culinary school was easy for him after being around delicious food his whole life. The other educational option that his traditional Japanese family might have preferred for their son, was to attend management school, but that’s not where his heart was. A graduate of the French culinary school, Universidad San Ignacio de Loyola in Lima, Diego spotted his culinary idol, Gastón Acurio, in a grocery store one day and approached him about an apprenticeship. 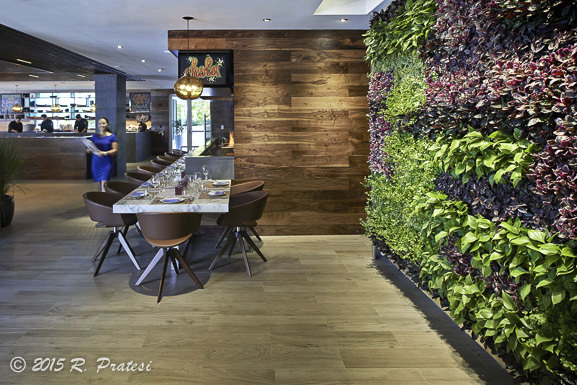 Sensing his enthusiasm and passion for cooking, Acurio agreed to give him an opportunity at Astrid y Gaston.